Dr. Eve Agee, Ph.D. is an international bestselling author, medical anthropologist, certified life coach and leading global authority on women's wellness and empowerment. Her best-selling book, The Uterine Health Companion: A Holistic Guide to Lifelong Wellness (Random House), is the winner of the International Book Awards for Women's Health. Eve has served as a political appointee for President Clinton, taught at the University of Virginia, served as a White House expert, conducted research on women's health and healing in the U.S. and West Africa. Dr. Carl Helvie is a registered nurse with doctorate in public health and 60 years experience as nursing practitioner, educator, author and researcher. He is the author of eight books, over 110 articles and international presentations and is the Host of The Holistic Health Show on BBS Radio. Dr. Helvie is well known for his development and implementation of the Helvie Energy Theory of Nursing and Health. He is a 38 year survivor of lung cancer and relied on alternative interventions to overcome a fatal diagnosis. Dr. Helvie's goal is to assist others to achieve similar results in their lives so they can enjoy their elder years free of chronic illnesses and the accompanying pain, expenses, and inconveniences experienced. 30 minute on-demand radio intervew. Listen now or download mp3. Dawn Bloore, DDS, is a practicing California dentist, LANAP® protocol clinician and the Vice President and Training Director for the Institute for Advanced Laser Dentistry. Dr. Bloore has lectured nationally and internationally on the subject of the LANAP® protocol and the clinical laser applications of the PerioLase® MVP-7™. A graduate with honors of the UCLA School of Dentistry, Dr. Bloore is dedicated to increasing public awareness of gum disease. Dr. Bloore completed advanced Post-Doctorate training at the Texas Institute for Advanced Dental Studies and the Dental Organization for Conscious Sedation. The Institute for Advanced Laser Dentistry is a nationally recognized lecture and clinical training continuing education (CE) organization dedicated to research, practice and teach advanced laser dentistry therapies. Susun Weed, guest host at WomensRadio.com is the author of the acclaimed best seller Wise Woman Herbal Series. All free all the time, knowledge is empowerment, herbal medicine is people’s medicine, join us now. Talk about GUTSY, Sylvia Lafair, PhD, hiked the Inca Trail into Machu Picchu, ate indiscernible stew in theAmazon, and bungee jumped in New Zealand. When she lands long enough, she writes books, gives speeches, and leads seminars. Sylvia, ever the pioneer, retooled her skills as a noted family therapist to become a leadership expert and executive coach. In the workplace she helps teams find the sweet spots of cooperation and productivity. 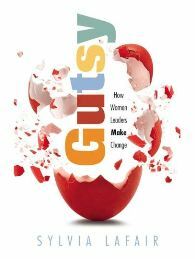 Sylvia is the award winning author of "Don't Bring it to Work" and the companion workbook "Pattern Aware Success Guide", and her latest book is "GUTSY: How Women Leaders Make Change"
She is the bestselling author of three books, and her fiction, essays and articles have appeared in over thirty publications. Alyson has also received the Columbine Award for Screenwriting, the Roy W. Dean Filmmaking Grant, and awards from Writer's Digest, Indie Excellence and USA Book News. She's internationally known as the Sassy Psychic, and practices online and in Los Angeles. Her new book, Searching for Sassy: An L.A. Phone Psychic's Tales of Life, Lust & Love, won Hay House's Book-to-Screen Pitchfest, and resulted in a deal with the producers of USA Network's PSYCH, to develop the book for television. Sara Chana is a mother of 7 children, a board certified lactation consultant, doula, AHG herbalist, and classical homeopath. For the past 20 years she has maintained offices in both LA and NY and has worked with over 5000 mother/baby dyads. She empowers women with the knowledge and understanding of the world of botanical s allowing them to be able to treat themselves and their children. She teaches women how to stand up for their rights in the medical world, and helps to educate them so they become partners in the decision making with their healthcare practitioners. She has had the honor to help birth a child, help them breastfeed, assist them through toddler-hood and watch them become adults! She teaches women how to identify plants tincture them, and use them to treat their loved ones! Susun Weed interviews psychologist and author Marsha Lucas, Ph.D.
Marsha Lucas, Ph.D. is a licensed psychologist and neuropsychologist, and has been practicing psychotherapy and studying the brain-behavior relationship for over twenty years. Prior to entering private practice, she was a neuropsychologist on the faculty at the Emory University School of Medicine. Dr. Lucas currently practices in Washington, DC. She is the author of "Rewire Your Brain for Love: Creating Vibrant Relationships Using the Science of Mindfulness" (available on Amazon, Barnes and Noble, IndieBound, or at your favorite bookstore). Betty Louise, Sexual Wellness Coach and US Radio personality, has coached and interviewed progressive thinking experts, artists and innovators from all over the world. Author John Gray of Mars/Venus fame, Grammy Award Winning Freddie Ravel, and brain researchers Jill Bolte Taylor and Dr. Louann Brizendine have been some of her amazing guests. She is an eco-coach who works with women and mindful men to rediscover their inner beauty and sexuality so that they fall in love with themselves every time they look in the mirror. Her phone/skype sessions and teleseminars will open you up to the possibility of living an organic and orgasmic life with courage, confidence, and grace. Lauren McLaughlin is part of a team of thousands of teachers on the planet at this time, whose purpose is to remind those who wish to remember that they are deeply and dearly loved by the creator and sustainer of all life, that the answers to the most important questions they have are carefully stored in their own heart, and that they deliberately chose the human experience for the sheer fun of it. Lauren is an ordained Unity Minister, a writer, speaker, and retreat facilitator who is currently living happily-ever-after with her husband, John, in Clearwater, Florida. In the book Go to Elf! One of the tools that The ELF offers Tony and Frankie to help them conquer forever their ingrained feelings of “not good enough” is a powerful list of Spirit-fed AFFIRMATIONS. When these 12 “statements of Truth” are repeated 12 times a day for 12 weeks, they will help to elevate feelings of self worth, conscious and subconscious.